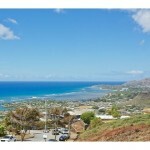 Oahu Homes for Sale - Real Estate on Oahu | Locations LLC. Known as “The Gathering Place,” Oahu is the third largest island of the Hawaiian Islands and is the most populous of the islands. Oahu is home to the state capital of Honolulu and has the primary and only international airport of the state. Based on this, it is no surprise that Oahu is the most developed island and constitutes one of the most convenient places to live, compared to the neighbor islands which are more rural in nature. Real estate on Oahu is quite varied depending on which side of the island you are interested in, with many opportunities for buyers with large and small budgets. But be warned, though, housing and condominium prices are sure to rise every year, as land mass is a precious commodity and development is slow. Oceanview properties are especially coveted, and prices will match million-dollar views. 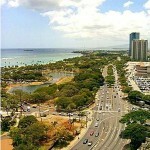 Do not be discouraged as the key to buying on Oahu is to keep an open mind. There are many areas to consider. The most popular (and priciest) option is the east side of the island, encompassing such neighborhoods as Hawaii Kai, Kailua, and Diamondhead. Hawaii Kai is known as a middle- to upper-class neighborhood with many well-to-do families in residence. Kailua is similar, and is the home of many people who relocate from the mainland U.S. Expect a single-family home with three bedrooms and two bathrooms on the east side to start at $700,000; Hawaii Kai and Diamondhead lot sizes at this price is about 3,000-4,000 square feet, while this price may afford you about 5,000-8,000 square feet in Kailua. If you would like more bang for your buck and do not mind a farther commute to downtown Honolulu, a home on the west side may be in order. West side neighborhoods include Ewa, Pearl City, Kapolei, and Wahiawa. These areas are familiar to the working class, but its status is quickly rising as many families opt for this more affordable location and lower priced and larger homes. A single-family home with three bedrooms and two bathrooms on the west side can start as low as $400,000. At this price point, you can expect lot sizes to range from 6,000-9,000 square feet. As you do your research on the market on Oahu, access your needs and budget while you consider if Oahu is the right place to settle down.